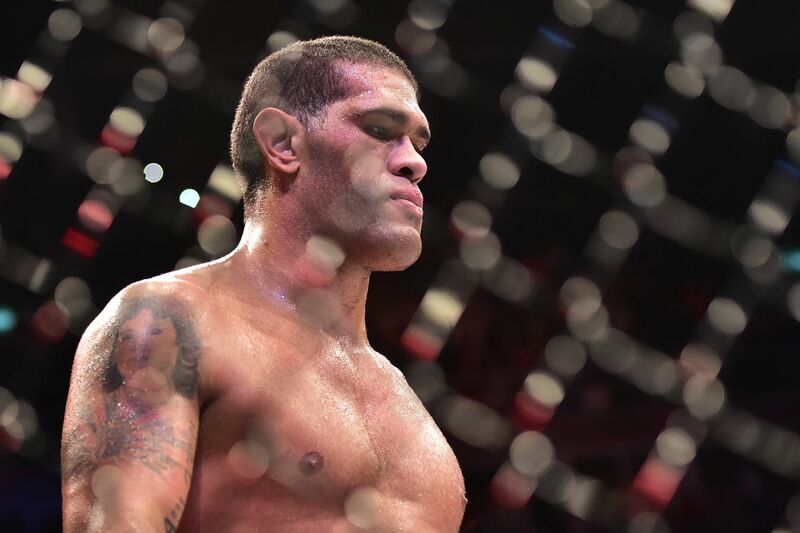 While former Ultimate Fighting Championship (UFC) Heavyweight title challenger, Antonio “Bigfoot” Silva (19-11, 1 NC), seems to be heading downward in terms of his performance in his mixed martial arts (MMA) career, his new paycheck would disagree. To end his UFC run, Silva was 1-6 with one “No Contest” in his final eight bouts, losing all six of his fights via (technical) knockout. In terms of health and safety concerns, it seems as if “Bigfoot” would want to consider hanging up the gloves. However, Russia’s Titov Boxing Promotion had other plans for him. After being released by UFC, Silva sought to continue his MMA career despite his most recent crushing defeats. If a Russian organization is going to pay him a hefty sum of $200,000 though — more than what UFC was paying him — how could he say no? Silva’s manager, Alex Davis, talked to MMAJunkie Radio and gave his praise to the Russian promotion even if it had significant faults along with it. Judging from shady bouts like Fedor Emelianenko vs. Fabio Maldonado — although it wasn’t a Titov Boxing Promotion fight, but took place in Russia — and Silva’s teammate Jeff Monson’s experience with Titov, where he signed to compete in an exhibition bout but was tricked into a professional bout instead, the Russian promotion doesn’t seem to hold fair contests …. especially considering that “Snowman” injured his arm in that bout. Even though Davis may be right, it didn’t stop the officiating for Silva’s bout with Ivan Shtyrkov (8-0) from getting out of hand. The bout probably should’ve been stopped when “Bigfoot” was knocked through the ropes by Shtyrkov in the second round, or when Silva landed a monstrous uppercut in the third round; however, the referee stopped the action because Shtyrkov lost his mouthpiece and also gave him an extra five minutes to recuperate from the punch. Despite all of this being put into question, Davis still remains optimistic about Silva’s future with the Russian promotion. “Everybody in Russia remembers him against Fedor (Emelianenko),” Davis said. “He’s got a big following in Russia that we didn’t realize. Even at this fight, when they gave the decision to the Russian, the crowd booed. He’s a hero there, so he gets a second breath in his career. He’s going to fight again. While “Bigfoot” doesn’t have a scheduled bout yet, he is seeking to continue his career with Titov Boxing Promotion potentially against undefeated ex-Bellator MMA Heavyweight champion Vitaly Minakov in the near future.